For some homeowners, they aren’t too involved in making their backyard flashy and interactive. The backyard can be an alternative space where you can unwind, think with very little distraction, or even read a book with no interruptions. Thankfully, elevating your backyard into one that reflects a tranquil oasis doesn’t require much investment and can be done with a bit of know-how. Without further ado, we will share our ideas with you! Not only can you plant several vegetables or fruits in your garden of your choosing, but the right plants can even have a calming effect. This is where the garden’s color scheme meets science, as soft neutral greens, lavender, and great colors can have a calming effect. Appropriate plants include lavender plants, the catnip herbal plants with its gray and purple flowers, or many of the vibrant green flowering plants available to homeowners. For flowers that will come back on a yearly basis, use annual or perennial bulbs that will bloom every season. You can also use flowers as a hedge or barrier to separate the rest of your backyard into an area designated for downtime. If you do not want to plant a garden from scratch, you can use potted flowers instead. Instead of using an actual fence, invest in a “living” fence. Rather than the traditional wall made from wood or metal, you can create an informal barrier by using carefully planted trees or shrubs. Tranquility is also about comfort, and the accessories in your yard need to reflect that. Depending on the plot of the land, a few comfortable chairs and a table will last for several years rather than the uncomfortable foldable chairs. Decorative wall lamps add a bit of elegance while extending the homeliness of your home. This is the time to bring out the items that make you feel comfortable – small picture frames on the table, inspirational quotes hanging on a tree or wall, and perhaps a welcome mat to designate the barrier of your backyard. Creating a quiet space in your backyard is the best way to turn it into a relaxing retreat where you can lounge and absorb the scenery, perhaps even tuck into a book. This area should be adequately lit with natural light, with a few accessories like a wicker chair and plush cushions adding to the comfort factor. During the night, you want a light that is soft and not jarring. Solar-powered light bulbs can be used to create a pathway or to add accent lighting to the backyard. You can also invest in a lantern or tin cans that fixed with candles. Paper lanterns add a delicate, relaxing tone to the backyard, with tiki torches being a viable lighting option. The aesthetic and the sound of water has a relaxing effect on the mind, elevating your backyard into a private oasis. For a water feature, you need to consider the size of available space. If you have an expansive enough backyard, you can install a relaxing pond that can house a couple of Koi fish. Not only will it be relaxing, but feeding your fish will require you to enjoy the outdoors even that much more. A fountain fixed on several terra-cotta stone panels can be a viable water feature for those that don’t have enough space for an actual pond. A water or spray fountain can also be used to elevate the mood in the backyard. 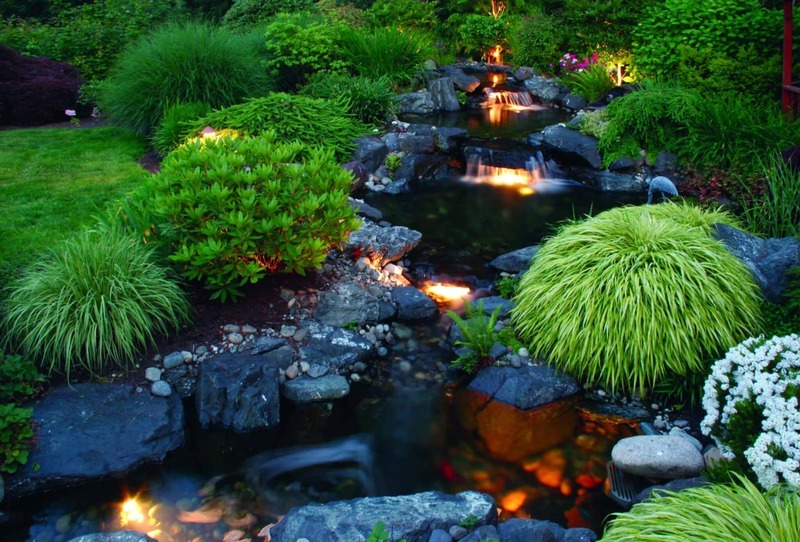 There are so many ways you can go about installing a water feature in your backyard. Depending on your budget and space, you can also install a wading pool, birdbath, or even a waterfall. When elevating your backyard into a retreat, you’re limited by your space and imagination. These tweaks will encourage you to spend more time in your yard. Before you know it, it will soon be your favorite spot on your property.